Enlightenment ideals of transparency and self-knowledge have worked towards the same end-point but find themselves at odds in a technological utopia in which the end-point is, inevitably an illusion, fragmented by the instant availability of the sum of human knowledge into heterotopia – ‘a many-sidedness in which a limitless number of cultural perspectives afford different views of truth’. The hard-working journey and the illusory destination strike a common chord for me with the life and work of Christoph von Dohnányi. 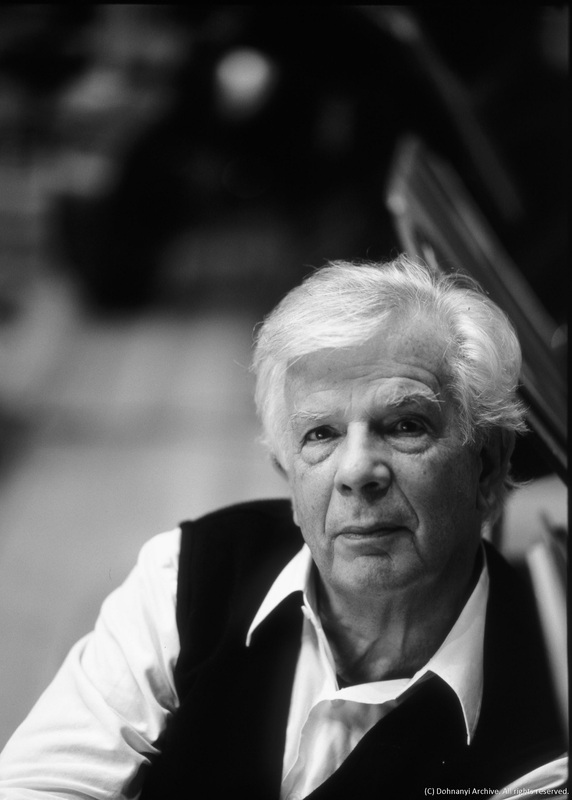 Now 86, Dohnányi recently celebrated his status as one of the few remaining éminences grises of the conducting world, by opening the 70th anniversary season of the Philharmonia Orchestra. At the Royal Festival Hall and on tour, he led a programme of two Austro-German classics which he has conducted perhaps a hundred times and more, the Violin Concerto of Alban Berg and the Ninth Symphony of Schubert. A typically straight answer, but this pursuit of the always-vanishing horizon of truth in the classics, coupled with a career-long commitment to modernism, and the rejection of easy answers in the art of our time – another staple of his concerts is The Unanswered Question of Charles Ives – rang true to me with the sincerity of the aesthetic paradox elaborated by Holly Watkins. I recently heard a long-standing colleague of Dohnányi’s wonder aloud, why does he support Regietheater opera productions when his own interpretations are distinguished by their lack of ego? 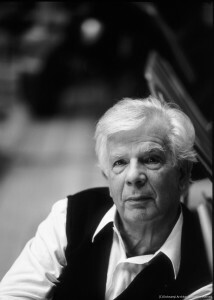 Now is not the time to get embroiled in the heated debate of what even Personenregie is, but to suggest that there is no contradiction in Dohnányi’s enthusiasms, only a productive tension exemplified at that Festival Hall concert by the subtle and generous support he gave to the soloist in the Berg Concerto, Carolin Widmann, who took a challenging and anti-Romantic stance towards a part whose tragic and autobiographical narrative is often placed as the last Romantic Violin Concerto. The depth of this commitment and enthusiasm on Dohnányi’s part can now be explored on a site dedicated to his work, christophvondohnanyi.com. Full disclosure: I have been writing content for the site, which will expand for the rest of 2015 and beyond to document all the fruitful relationships he has nurtured during a 65-year-long career with opera houses and orchestras across the world. Each event has a page of its own. 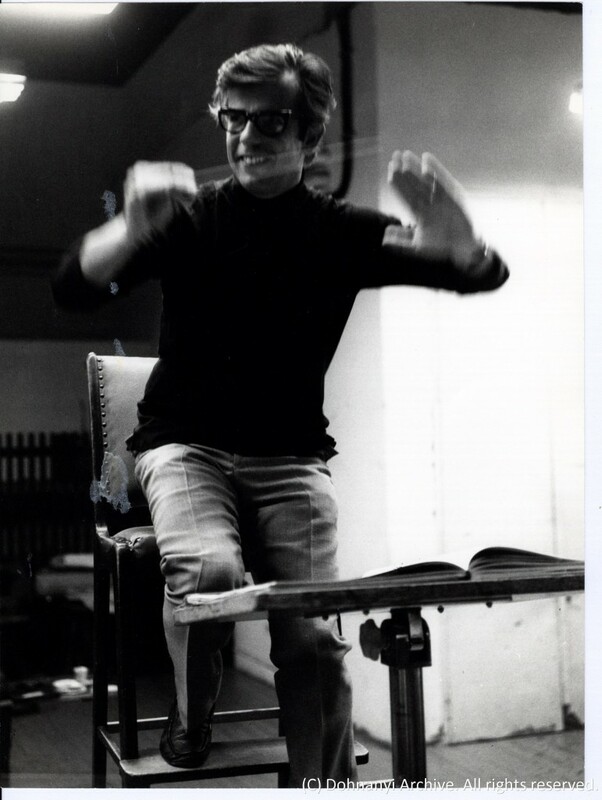 There are programmes from the time, images, reviews, and even sound files in many cases, to give the casual browser a flavour of the event, and enabling the more dedicated music-lover to explore Dohnányi’s career with a fullness usually granted only posthumously. Among the many Schubert 9s and Dvořák 8s are his Salzburg Festival debut, directing the Vienna Philharmonic in the first performance of Henze’s operatic setting of The Bacchae; the Götterdämmerung in Frankfurt, when he dismissed the director after the first night and became entangled in a legal battle; countless premieres but also plaza concerts in Cleveland and tours across Europe and the US, mixing up Beethoven and Lutoslawski, Schumann and Glass, Richard Strauss and Shulamit Ran. It is a work in progress, not least because at 86, Dohnányi still has a full schedule and a diary stretching into the next decade. See for yourself. Posted on October 14, 2015 by Peter Quantrill	This entry was tagged conductor, Dohnanyi, Philharmonia, Schoenberg, Schubert. Bookmark the permalink.